Memories….. | My Life as a COMMA! To say today is tough..well..it would be a gross understatement. I could never have imagined being here. I could never have imagined living 19 years of my life without 3 of my children! But God knew….. Remember when I posted about my 28 day journey?..well..today isn’t even day 28…that would be the day of the funeral. I really thought I’d be blogging and walking down a path of remembering…but God knew different. In the past 3 weeks my life hasn’t been anything I thought it would. But why does that surprise me? My grandmother unexpectedly went into the ER…and they were actually going to release her…but then her primary doc said to keep her for observation. 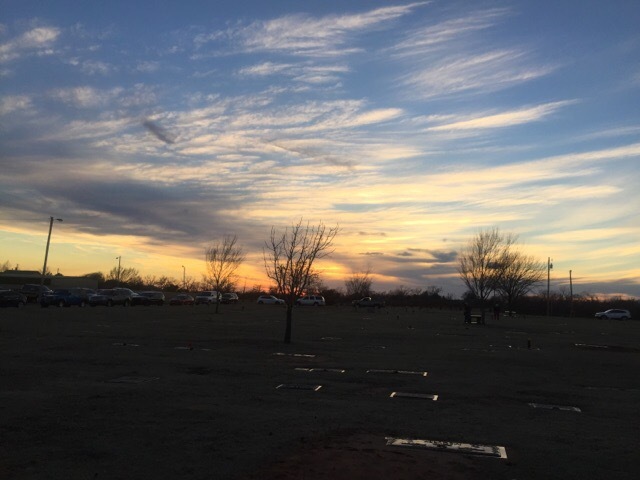 Six days later…she left this earthly life and went to be with all her loved ones who had left before her! She was ready. But we weren’t. Then we were also moving..but it hasn’t gone smoothly…not like I thought. It’s a blessing…this new home…for my family. And I feel a lot of wonderful “new beginnings” here in this place… But quite frankly..it’s hard to start in another place…when so many in my family will never see or be a part of it. If I think about it…the last 19 years hasn’t been anything I thought it would. I thought I’d get to watch 3 wonderful boys grow up…experience their teens…grow into wonderful men…have families…so much. But I didn’t get what I thought would happen…but once again…I’m reminded.. God knew. It’s been 19 years since my sons were murdered! It’s been 19 years since they took their last breath on this earth! It’s been 19 years since I’ve heard their sweet voices and laughter! It’s been 19 years since I’ve been able to put my arms around them and hold them…or hug their necks! I was robbed of their life…of getting to see them grow…that is what happened 19 years ago!! It’s also been 19 years since Jesus walked with them…hand in hand..introducing them into the Kingdom of God. It’s been 19 years since their pain stopped…no more tears…no more pain! It’s been 19 years since they began true and total worship..among angels and saints..of the one true God! It’s been 19 years since God started carrying me…in my grief and pain..into His path. For me…it’s been 19 years! Some of it…has been brutal torture on this momma’s heart. 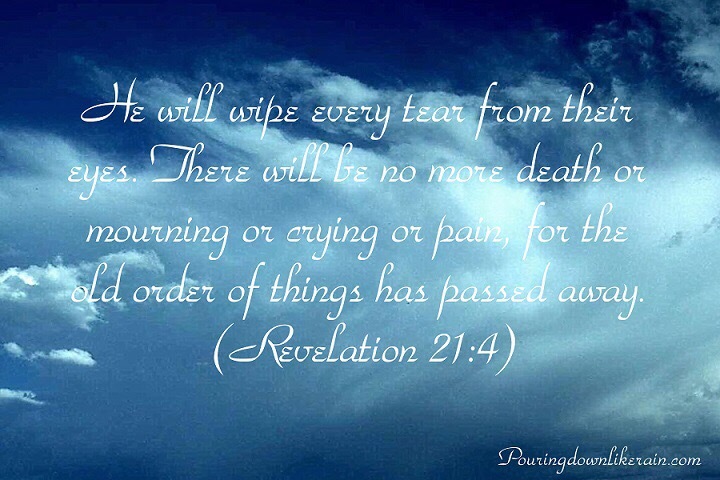 For them…it’s been less than a blink of an eye in their eternity of glory! For my momma’s heart…God has been good. He has blessed me with two more beautiful children. Each of them has placed their trust in Him..so I KNOW our eternities will last forever…together! My heart has hurt…and aches…for there are places in my heart nobody can touch…not even my two kids now. 3 hold..for 3 boys…It is a place my heart holds for them and only them. On days like today…I let myself go to those places in my heart that are only theirs. 3 holes…from 3 boys. I let myself remember, feel the happy and sad…the pain and the tears…the hurt and the anguish. But during these days…God always replaces it with truth…..and that truth is that He truly does have a plan for me. Jer. 29:11. And that HE truly does use everything for good. Rom. 8:28. He reminds me of my favorite verse… Hab. 1:5. For if He had told me….19 years ago and a day…what was getting ready to happen…what He would ask me to walk through…what HE would carry me through…and that 19 years later I would praise Him…and give thanks for this day…I would have NEVER believed it! Music has ministered to my heart in so many ways…this is by Jeremy Camp. one by one are starting to break free. Thank you for walking this journey with me..with my family. To watch my children now..how they love..how they remember…I know I am blessed! I hurt…but I will be okay. My heart aches…but those places will continue to heal. I know…beyond a shadow of a doubt..that I will see my children again..spend my eternity with them and all my loved ones…and for that…today…I am thankful! Welcome to my world…. I know it sounds like the weirdest title ever…but it is truly just a glimpse into my mind in a single week. The reality is there. I live in the present tense but my mind is constantly in the present and the past …all at the same time. Last week….those three things were all a part of my reality. Driving school…..yes…my son is old enough to be in driving school. He attends the classes over Spring Break so he can get his permit the next week! I’ll have a driver….AAACCCKKKKKK!! Junior High Enrollment…yes…my daughter brought home this envelope with enrollment information for JUNIOR HIGH!!! again…….AAACCCKKKKKK!!! 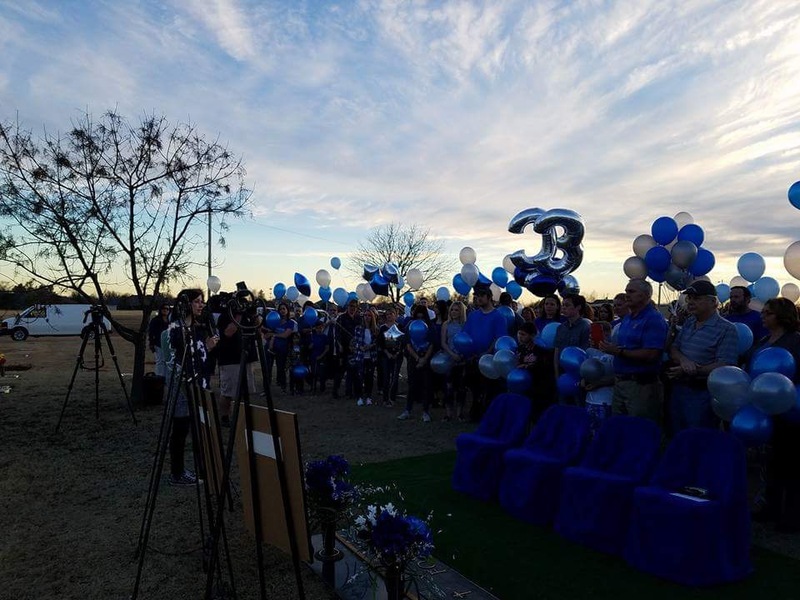 And then….3 White Caskets…you see…last Wednesday was the anniversary of the day I buried my three boys. All that was going through my mind during part of the week was those white caskets. A friend asked me if I would have done anything different. I only had to think for less than a second. I said there were quite a few things I would have done different. One of them was the funeral. Not that I would have changed any of it….but I was in such a fog during that time….I just wish that I would have had someone take pictures…or even video the service. There were so many beautiful flowers and all the people there were so kind. I really wish I could share pictures with my kids…of the flowers….of the way we had the pictures of the boys by their caskets….of how we had the things that were special to each of them on or next to the casket. It sounds weird to even type it…but that is what I wish I had….so I could share my “then” with my “now”. I wish I would have gone to see them again. I only went one time…I only went to see them …….and then I didn’t go back. I know why I did it then….and I know it was just their earthly shell….but I still wish I had gone to spend more time with them when I could still stroke their hair…still talk to them and touch them at the same time…..but I didn’t. And honestly…I wish I had. Those are thoughts in my head…..and yes…the anniversaries make those thoughts swim in my head at a much higher rate…but they are always there. Like this week…..it hit me that I was in a place I’ve never been before. It hit me that even though Breanna is, in age, past where all my boys had been in age……in calendar time….I was here. Breanna is in sixth grade…..her sixth grade graduation is coming in May…and …..here I am….in March of her sixth grade year……which is a place in time I never made it to with my boys….and now my baby…is there. 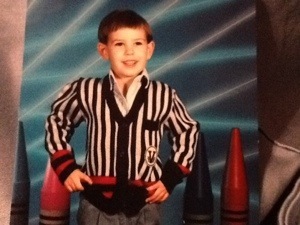 Cody, never made it to March of his sixth grade year….that is a very vivid memory I am always very aware of. So, this is another place where I’m here and there….all at the same time again. I’m totally in uncharted territory….I have been for a while now. I mean, my two kids now are so different than their brothers! But still….kinda the same. But my baby has now outlived the place in time my oldest never saw……..and that is hard. But it’s my reality. 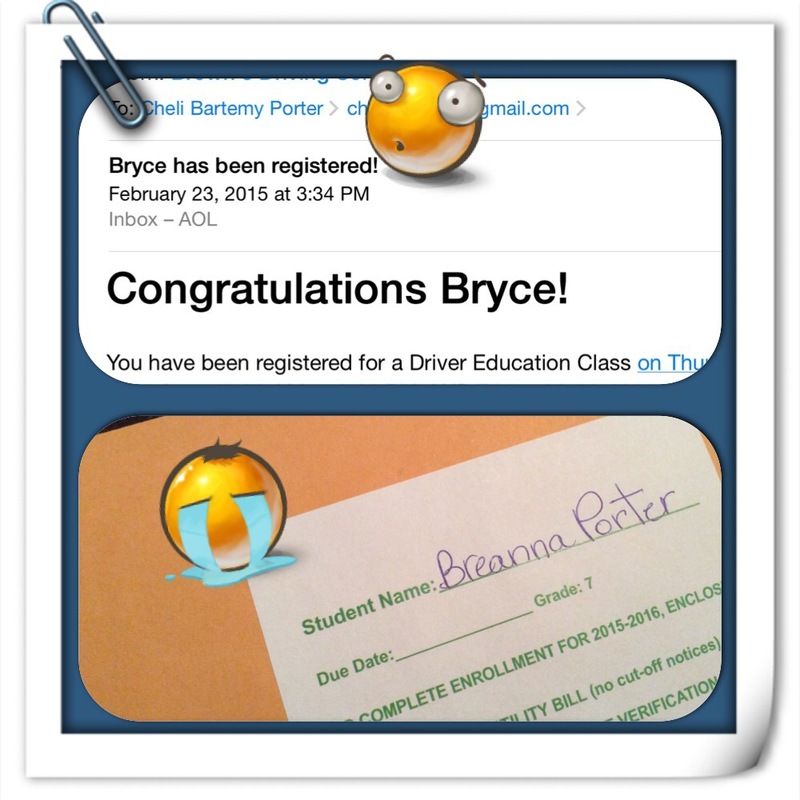 Driving school……is a first…..and I’m going to enjoy this phase of my son’s life! Junior High…isn’t a first….but she is my only girl…..and my baby! But I plan on enjoying this part of her life!! That is where I am people…..I’m in new territory….and I’m enjoying and relishing each part of it…..but it doesn’t mean my mind doesn’t go back…….or that my mind isn’t in both places at the same time. It’s hard. Very hard. I love where I am…but I miss where I would have been….all at the same time. I read an article today…and it said what I’m experiencing is called “Complicated Grief”…..I think it is more like…..Complicated Survival! Anyway…just a peak into my mind…that is just a few seconds of it…you should try to LIVE here! HA! Wherever you are…know that God is with you! That is one constant that helps to keep me sane! Knowing that in my thoughts, both present and past, He is…was…and always will be there! Thanking Him for that…today and always! Keep moving forward friends! It may only seem like an inch….but that is still progress! Know I love you…but more importantly…know the King of Kings….is MADLY in love with you! At 2:36 this morning it has been 17 years since my mom took her last breath on this earth…..since she was completely healed of the pain that had overtaken her body. I know at the moment she took her last breath on this earth….and she entered into her eternity….there were tears in my eyes….and nothing but praise…beauty….and joy in hers. Oh….how jealous I was of her…..even in those first few moments…that she got to see my boys first. How I wanted it to be me…..to see them…to hold them again. But it was her. In her new body. She was running and playing with them…..
I’m so thankful there is no cancer….no pain….no tears….and nothing but joy in heaven for her! I’m sure she ran straight to her father first…then embraced the boys….her mom….and her other loved ones who were there! I know that if she is able to look down on us….on how we’ve lived these past seventeen years without her….she would be proud of the moments we have overcome difficulties….persevered through really tough times….and loved the way we’ve kept going……no.matter.what. There have been times when I’ve physically ached for her….and wanted so badly to have her here with me. I’ve wanted to share moments with her. I’ve wanted to talk to her…..to hear her voice again. Losing mom…..well…there is nothing like it. We talked daily…and there were times when there was nothing to say. But I always needed to call her. Just to hear her voice. It doesn’t matter how old you get…you’ll always want to have your mom around. I don’t think there will ever be a time when I don’t miss her….or wish she were here. I can’t believe all of the great things she has missed out on…my kids….my sister and her family….our ups and downs. It is hard to think we have lived as much life as we have without her being here with us. But that is exactly what we’ve done. We’ve lived. We kept going….even when it was hard and we didn’t want to….we did. 17 years…..without my mom. Hard to imagine. As I sit here today…watching the snow…thinking of her….I remember love. Her smile….her laugh….. I remember the way that, even as an adult, I would lay my head in her lap and she would stroke my hair and talk to me….and the comfort that gave me. 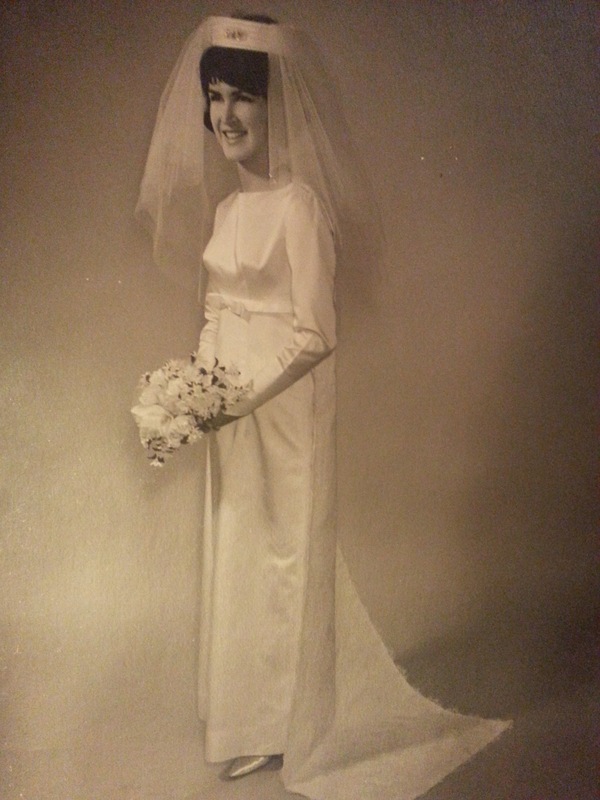 Today….I celebrate you mom…..I’m so thankful for you….and everything you did for me….for us. I still love you….and I can’t wait to join you in heaven! Until then….I’ll be here…working hard to continue to make you proud! Happy 29th to my Brown Eyed Boy!! Yes…you read that right….I’m the mom of a 29 year old boy! It’s hard to believe that it has been 29 years since Cody came into my life! He was born with brown eyes…and they continued to show me love for the entire 11 years he spent on this earth with me! They could definitely melt this momma’s heart. When I looked at this picture I just sobbed because I miss these eyes….and that smile…more than words can describe. 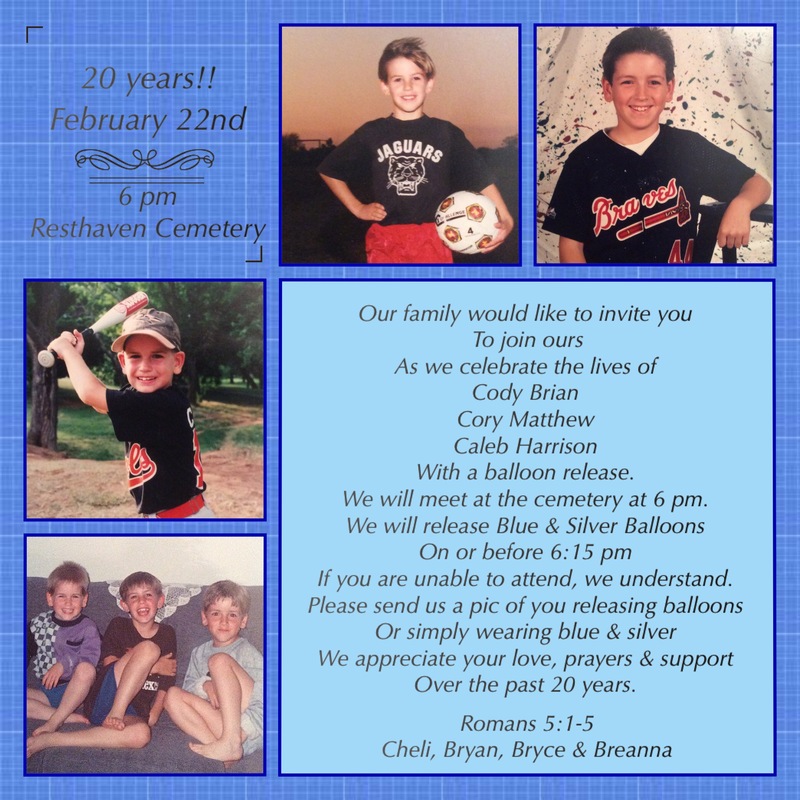 Today my oldest would turn 29……. I was 29 when I lost him. Today was Bryce & Breanna’s last day of school……. Cody was born on the last day of my junior year. 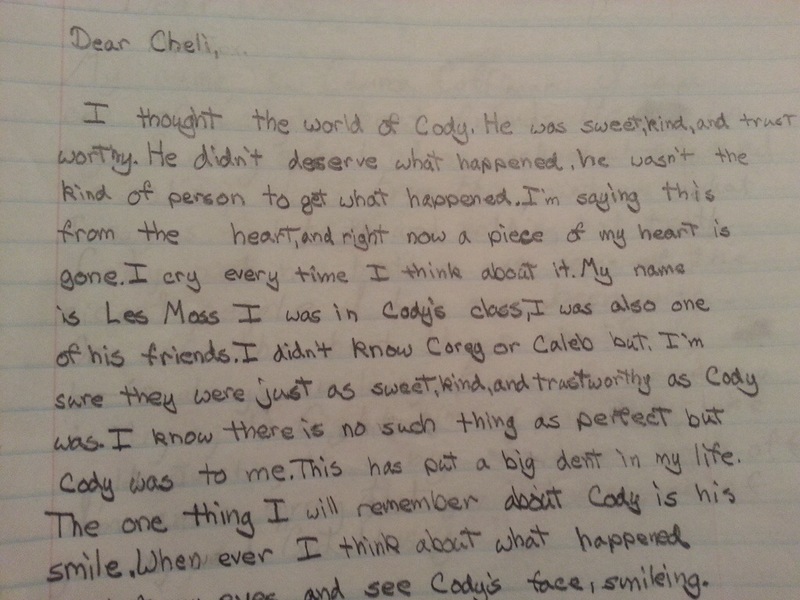 Cody was 11 and in sixth grade when he died……. Breanna is 11 and getting ready to start her sixth grade year. So many other things fill my thoughts and swirl around in my head. Sometimes it is hard to be still…and be quiet…because of where my mind will take me. But I must remember what a blessed momma I’ve been! The past 29 years….have been filled with joy and sorrow! Being a mom has been the easiest and hardest thing I’ve ever done in my life. But definitely ….. it has all been worth it. I remember so vividly the day Cody was born! I remember the feeling of being a mom on that first day! I remember the way he looked up at me…..and how he stole my heart. I was such a baby still myself, but I knew I would always love and protect him. Just because I wasn’t there that day…doesn’t mean it might not have happened on a different date. And even if I had been there….doesn’t mean I could have stopped it. That …… has been hard. It still jumps up and tries to grab me….tries to make me feel guilty…..but…that is the enemy fighting against me and the plan God has to continue my life……to continue my purpose. Cody and I had such a special bond. We talked…..so much. This part of him reminds me of Bryce. Cody was very protective of me….as is Bryce. He loved my fiercely…..as does Bryce. He just had a way with people. A way to put them at ease with what was going on around them. When he would smile at you with that big grin…..oh GOD HOW I MISS THAT SMILE!!!!! He would light up any room just with his smile and his attitude. 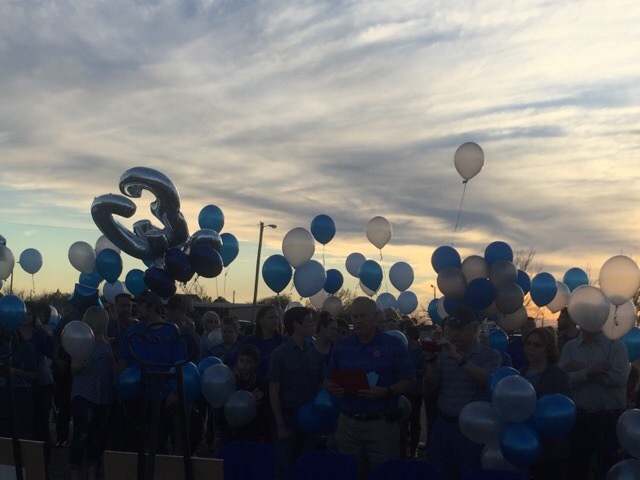 What I want people to do now…..in remembrance of my sweet baby……is to be real with the people around them! If someone’s smile lights up the room….and makes your day just a bit brighter…tell them! If you respect someone who walks away when things get difficult instead of fighting or being a part of drama….tell them! Or even better…walk away with them! If someone impacts your life…just tell them. The reason I say all of this is because when Cody and I would talk….he would tell me how he felt so alone. He would say he didn’t have any friends because he was “different”. He thought others made fun of him for being different. But……after he died…..almost ALL of his friends wrote me and told me how much they admired him for walking away from a fight. They told me about his smile…and how he was friends with EVERYONE! I remember crying in the hallway outside his room the night he shared with me about how he was hurt. 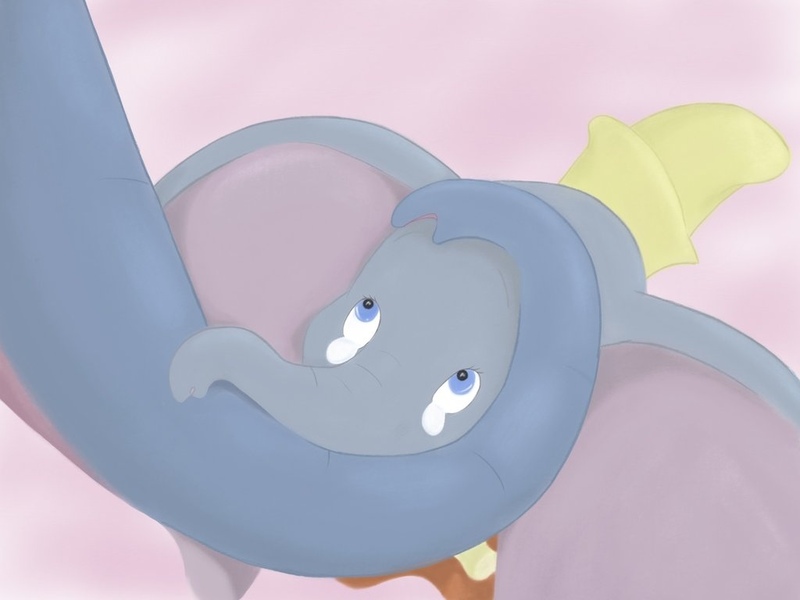 I cried because I didn’t want my baby to hurt…..but also because I was SO PROUD of him for being different! I wish he had known the impact he made on the lives around him. I want him to know how proud it made me to read those letters…and how sad I was that he felt so alone…when really…he wasn’t. I know….without a doubt…..Cody was different because he loved Jesus! He loved his friends and wanted them to know about Christ and the sacrifice He made for them. He invited his friends to church and to church camp. I often wonder if he would have been a missionary of some kind. He was so kind, so gentle….so caring. He would have truly been a blessing to anyone he came in contact with. But you know what I’ve realized…..? My son IS a missionary. He IS changing peoples’ lives. He IS still caring about others. HOW? you might ask…… Because I’m his momma….and I know that God left me here to fulfill a purpose. Part of that purpose is to share about Cody and his brothers. He wants me to share about their life…and their deaths. He wants me to share about how He has carried me through all the ups and downs of the past 29 years….and how much He has loved me during this time. Cody’s mission work continues in and through me! But without him…..I wouldn’t be doing it. Without HIM….I wouldn’t be strong enough. 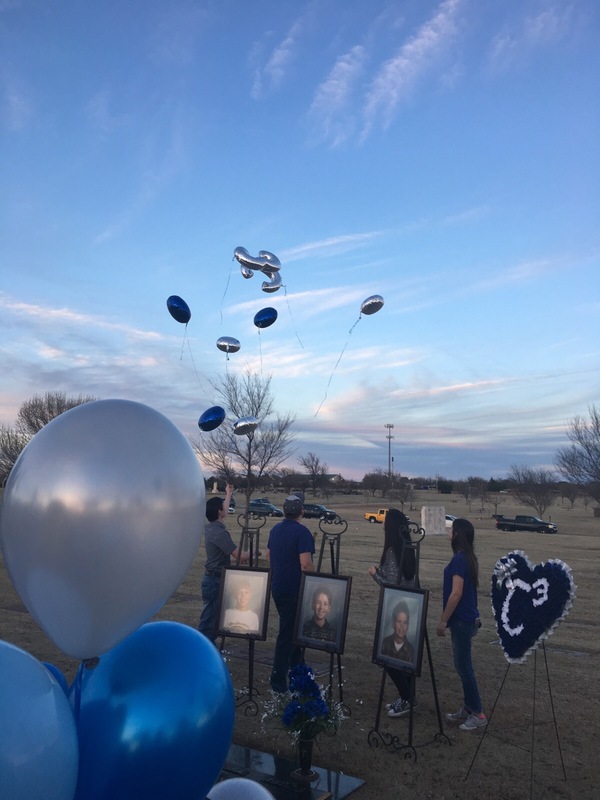 Without the story of Cody…..making me a mom…..and then living such a beautiful….but short life…..I wouldn’t be on the mission field that I am on now. So once again…..I’m thankful for him….and that I “get”….to be his mom. I miss Cody Brian…..more than my words can express. 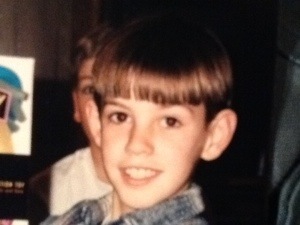 That part of my heart that he stole….29 years ago this afternoon….at 2:55 pm….he took with him to heaven. My heart won’t be whole….until I see him…..and his brothers again. So glad my eternity will be with him. 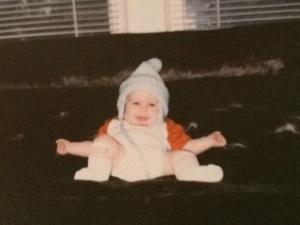 So glad…God chose me to be his mom. Cody….you continue to make me better. You continue to push me….to try to make you proud of me. I will…until I see you again…continue the mission of showing others how much they are loved…and how good life can be! Until we meet again….and our eternity will be together! Loving you! Sixteen years ago today was a day, weather wise, much like today. Windy….chilly but not really cold.. Cloudy…overcast….not much sun. Sixteen years ago today I was putting up the Thanksgiving decorations. Not because Thanksgiving was already over….actually it hadn’t even happened yet….but because we just didn’t feel “festive”. Sixteen years ago today I helped make calls that I knew were coming….but never wanted to make. Sixteen years ago today I said goodbye to my mom’s earthly body and wept because in those first few moments, minutes, hours…..I already missed her. Sixteen years ago today I felt jealous of her…..because she was the first to get to see my boys in heaven. Sixteen years ago today I felt loss and relief at the very same moment. I lost my mom. I knew I’d never get to call her again or talk with her or celebrate anything in my life with her again! But at the same time…I knew she wasn’t hurting any more. Her pain had become more than any of us could tolerate…especially her. I am thankful she is completely healed in her new body!! Sixteen years ago today I started mourning the “never woulds”….. Mom “never would” make it to mine and Bryan’s wedding. Mom “never would” see my beautiful sister get married. Mom “never would” see me with my children now. Mom “never would” see that she finally had a granddaughter. Mom “never would” see my sister and myself as successful business women. Mom “never would” see so much………….. 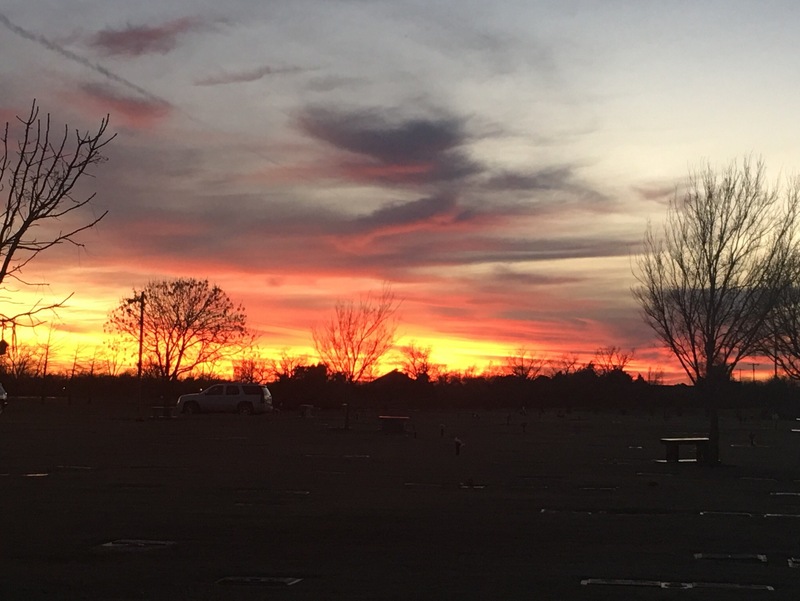 This morning I awoke with that same double edged sword of feelings….Sorrow of missing her and joy knowing she was somehow watching over me and my family. Today is my son’s first wrestling tournament ever!! As I prayed for him I smiled knowing she would be watching over him. I smile knowing she is watching over me…over all of us who loved her and are still here. As I hugged my sweet daughter this morning and just relished the moment and the feeling and bond between mother and daughter, the tears started to fall. It never goes away. I will never be too old to wish I had my mom with me. There is never a milestone or a day that goes by I didn’t wish she were still here. The holidays are a difficult time….she was so all about the holidays. It is hard some times to get into that holiday spirit and get excited…. But I do….for her….my my boys…for my sweet family now……and for me. I will never stop missing her. I will never stop thinking of her. But I will go on and continue to live the best life I can on this earth…..partly…..because of her! I love you momma. You told me once you would love me until you took your dying breath…..and I will love you until I take mine….